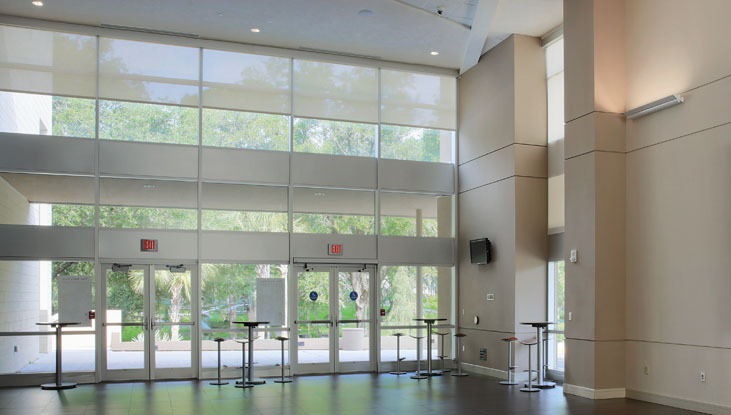 To support its award-winning arts program, Santa Fe College constructed a new Fine Arts Hall to house its theatre, dance and music departments. 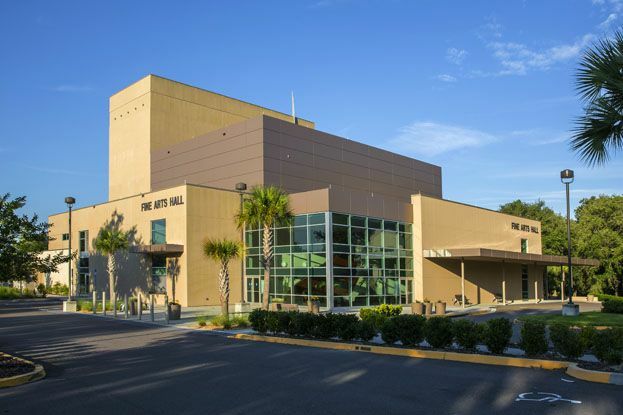 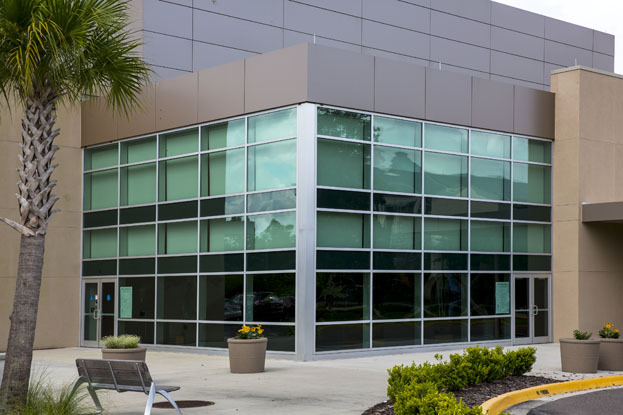 Located in Gainesville, FL, the nearly 40,000-square-foot facility features a 606-seat auditorium, large multi-purpose classrooms, a scene and costume shop, make-up and dressing suites, and several offices. 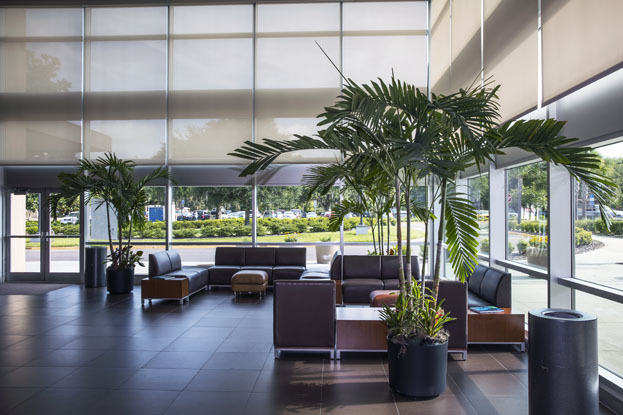 The design by Zeidler Partnership used Hunter Douglas Architectural RB 500 motorized roller shades with GlacierScreen™ shade fabric as a key component of the windows. 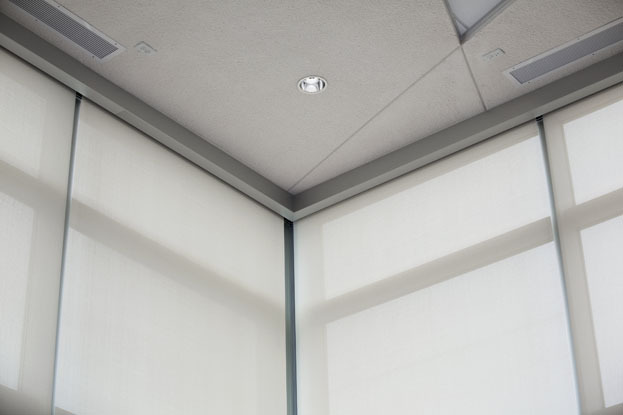 Zeidler selected the RB 500 system to complement the sophistication of the space, and specified GlacierScreen fabric both for its antimicrobial properties and for a clean look that fit the modern design of the shade hardware. 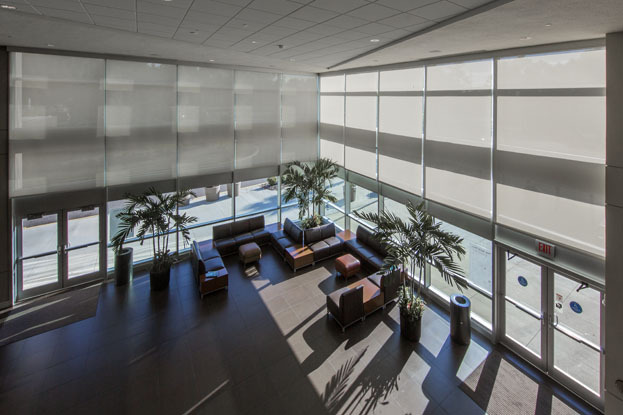 To allow faculty and students to control daylight and solar heat gain for maximum comfort, the project required two forms of motorized operation. 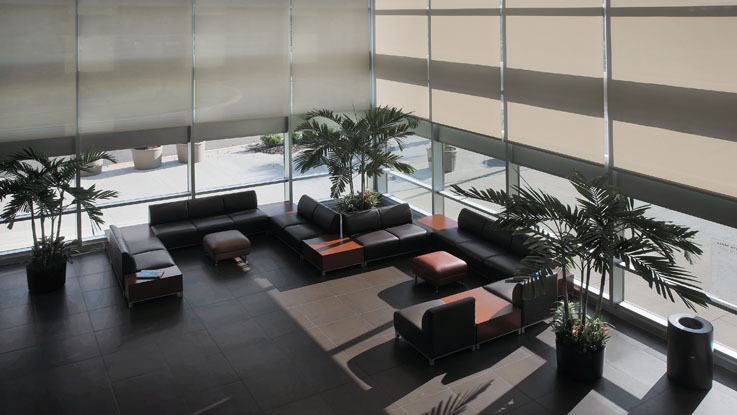 Facility personnel needed individual wall switches to control shades in their offices, while shades in the theater needed to be operated via remote control. 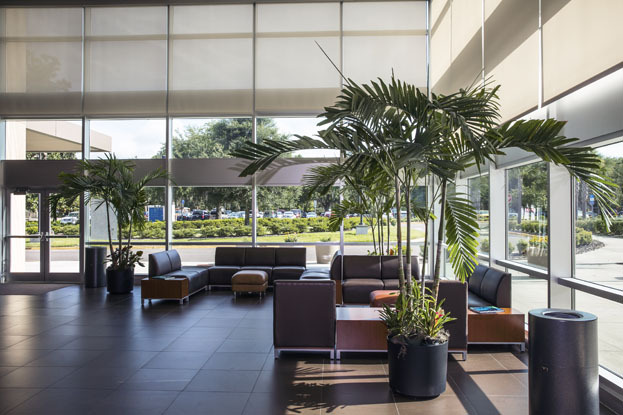 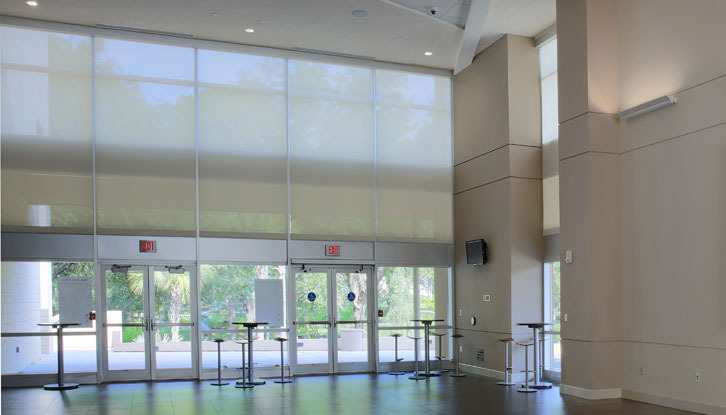 Florida Contract Automated Shading (FCAS), a Hunter Douglas partner, installed and programmed the RB 500 motorized roller shade system. 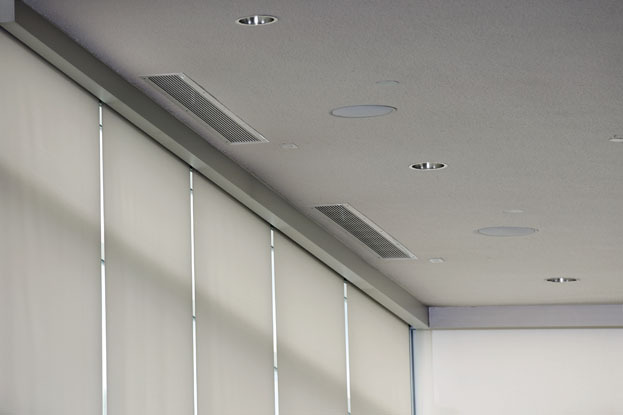 By recessing the shade pockets into the ceiling, the installation team insured the 12-foot-long panels would virtually disappear from view when retracted.